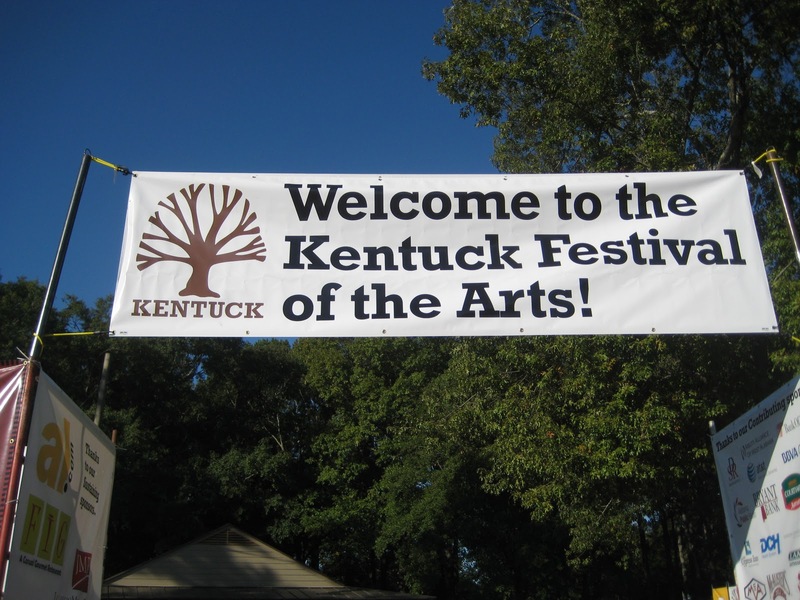 Last weekend, I took my twenty-five of my high school creative writing students to the Kentuck Festival of the Arts. Four years ago, following the lead of our then-Photography teacher Andy Meadows who took his students each year, we began an annual tradition of having each student choose an artist in advance, research him or her, set up an interview, and then afterward write a literary journalism treatment about the experience when we get back; the final articles are published on Newsprung in our annual Kentuck Issue, which is published in November. Walking in the gate . . . I usually recommend to people that have never been to Kentuck to go to the festival with $10,000 and a U-Haul truck, if they want to go home happy. The variety of art available for sale at the festival is incredible. My personal favorites are among the Alabama artists: the quirky oddities of Butch Anthony, the letterpress prints of Amos Kennedy, Scott Peek’s Standard Deluxe screen printing, Alabama Art Kitchen, the University of Alabama’s Book Arts program, and Randy Gachet and Charlie “Tin Man” Lucas, both of whom do what might be called sculpture. Usually when any of my students write something like, “It was so good, I can’t even describe it,” I respond by telling them, “Then don’t waste your reader’s time. Write about something that you can describe.” Well, I’m breaking my own rule here, writing about Kentuck. Writing effectively about the hundreds of artists would be just about impossible. By the time I got through the book-length treatment of this year’s festival, it would be time for next year’s festival . . . All I can tell you, dear reader, is: if you can go to Kentuck, do. So What Else Is Up? #throwbackthursday: Go to Church . . . Going to the National Sustainability Teachers’ Academy!